It's easy to miss the Bluethenthal Wildflower Preserve. 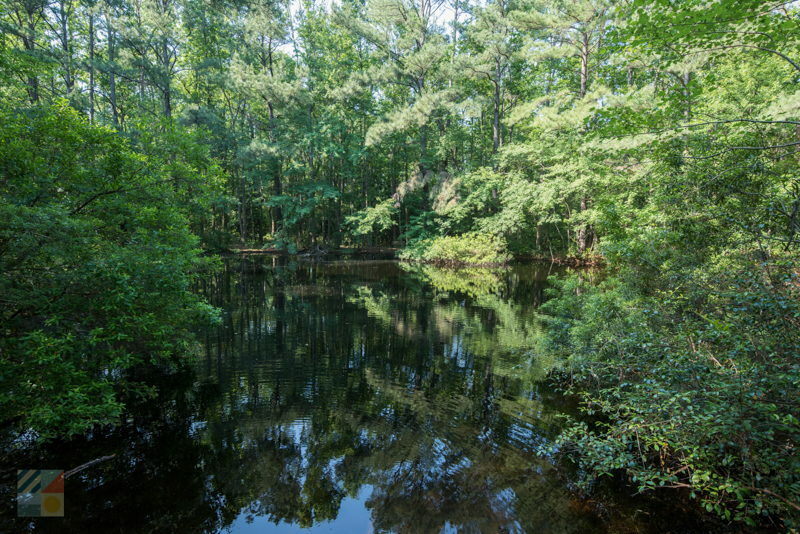 Located on the outskirts of the University of North Carolina at Wilmington's campus, this preserve was all but wiped away by the 1970s due to encroaching development. 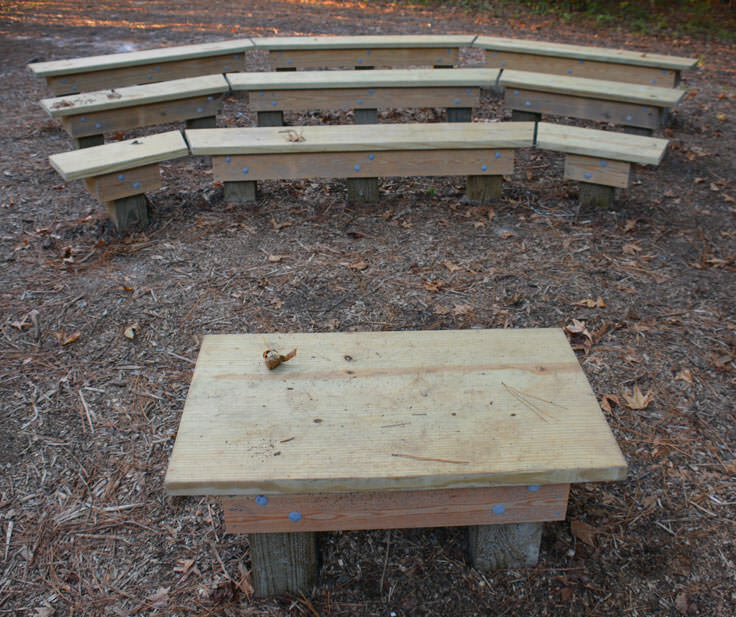 Thanks to the perseverance of local students and residents, however, the Bluethenthal Wildflower Preserve thrives as one of the most scenic and natural attractions that Wilmington has to offer. 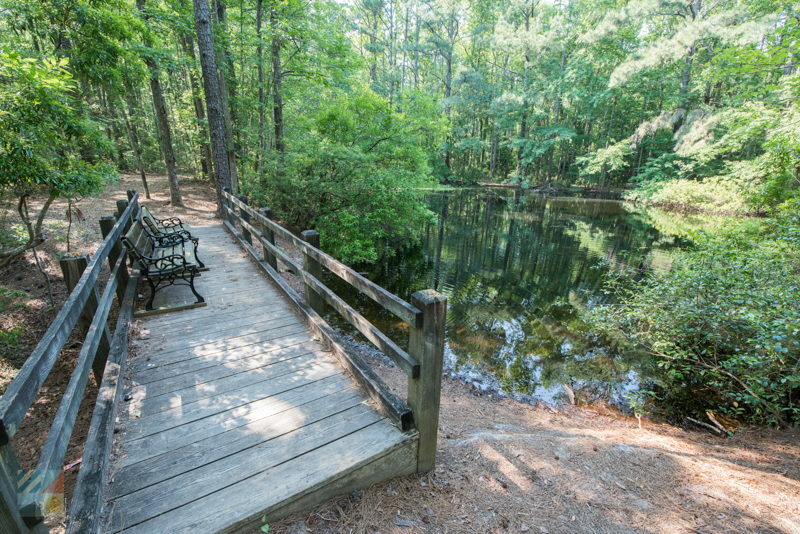 Especially attractive to budding botanists and foliage lovers, the preserve is a stunningly beautiful retreat that is close to Wilmington's thriving academic community, but feels miles away from the rest of the world. 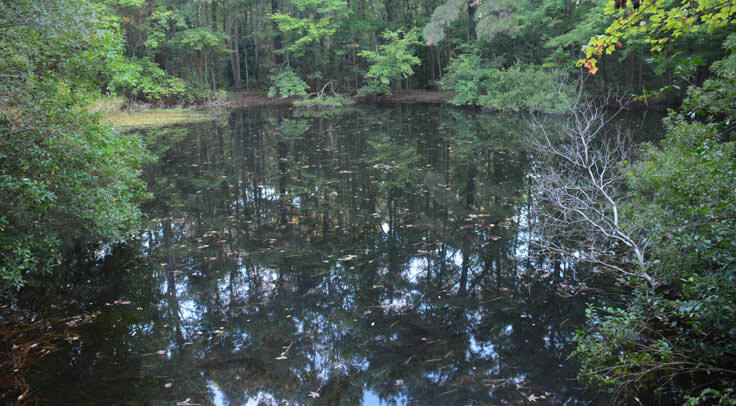 The actions required to create the preserve were first implemented in the early 1970s. At this time, Wilmington with booming with professionals, businesses, new residents and students, and the college, UNCW, was undergoing mass expansion, and invading some natural areas that lay along the campus grounds. 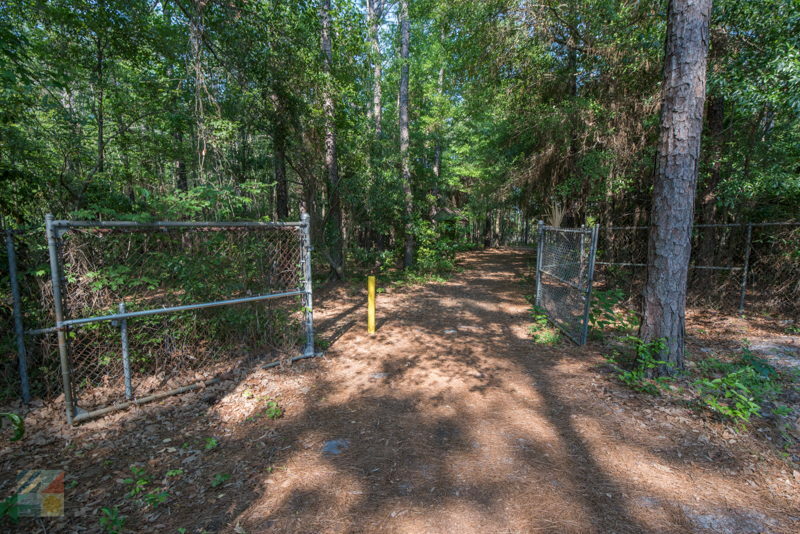 One of these areas was a rustic and meandering trail located close to Hoggard Hall, which had been used for the past decade or so as "training grounds" for botany, ecology and other natural studies where students could learn about the local flora and fauna. 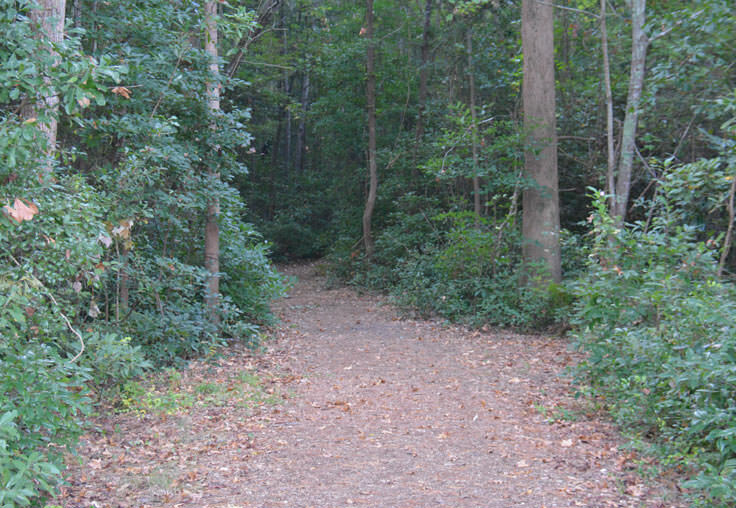 The trail was reduced significantly with the new development, but the portion that remained held one of the highest and most varied concentrations of local native plants found on campus. 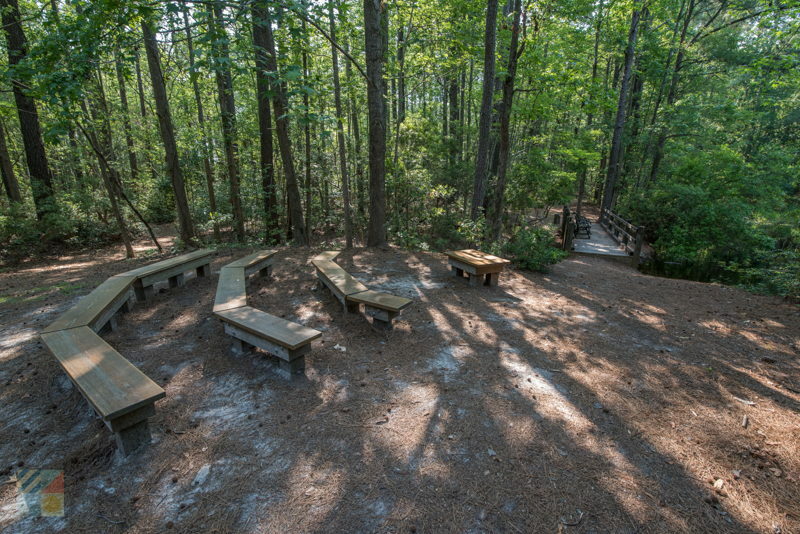 Through correspondences with UNCW's chancellor, and a hefty donation provided by friend Janet Bluethenthal, the appropriately named Bluethenthal Wildflower Preserve was formed, protecting a significant portion of the landscape, and allowing current and future students to continue to study its rare variety of local foliage. 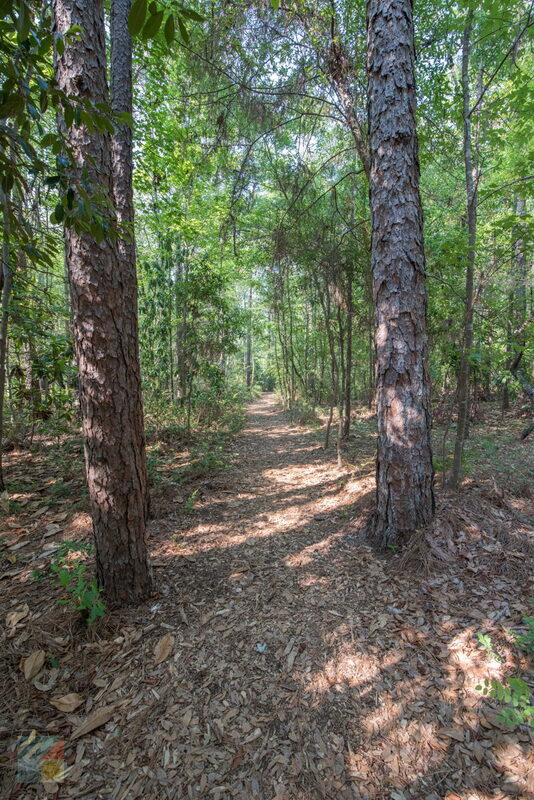 Today, the preserve is open to students, faculty and the public, and is a hidden gem of a nature trail, guarded by towering pines and dense patches of forest, and a wide pine-covered trail leading through the preserve. 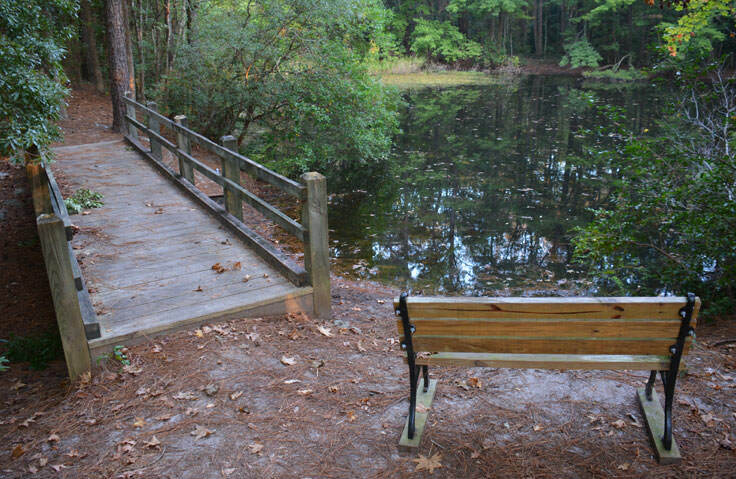 The preserve itself consists of approximately 10 acres of terrain, mainly woodlands, with a wide range of plant species that are a solid representation of the plant life found in the region. 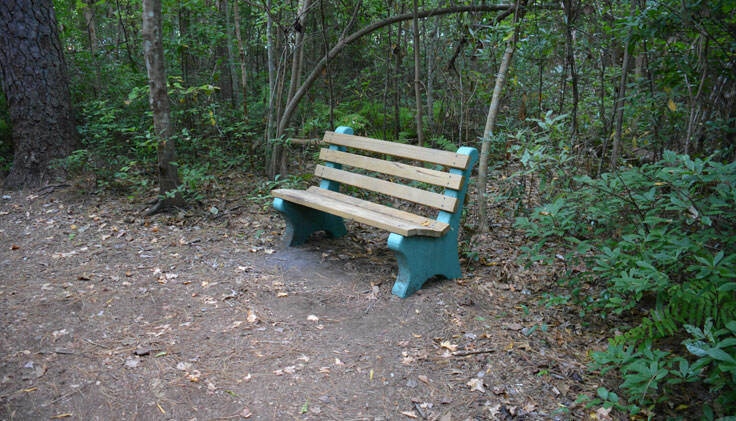 Benches and marked trails are found throughout the preserve, and pamphlets are available at the entrance describing many of the more notable or prevalent varieties. In the summer, the small ponds and wooded areas light up with local wildflowers, and birders will find a number of local species in the midst of the action, including herons, ibises, and bright red cardinals. 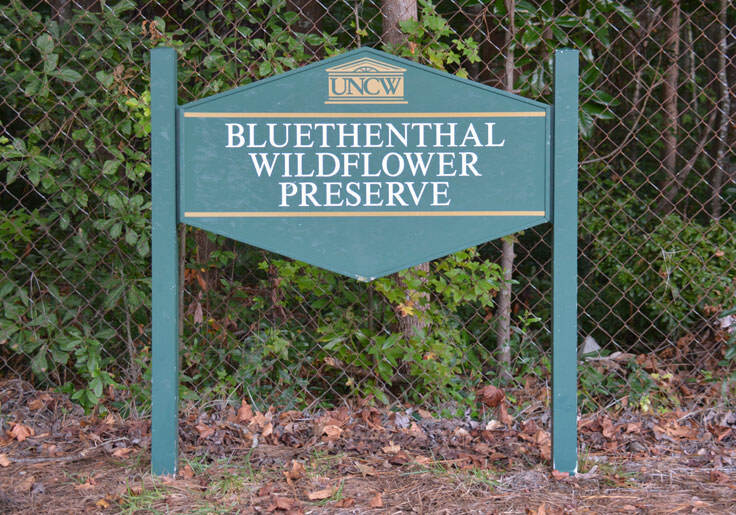 There is no fee to access the Bluethenthal Wildflower Preserve, and parking is available for both students and non-students on campus near the Preserve's location on College Road. Visitors should note that while information is available at the entrance, there is no full-time staff manning the property. 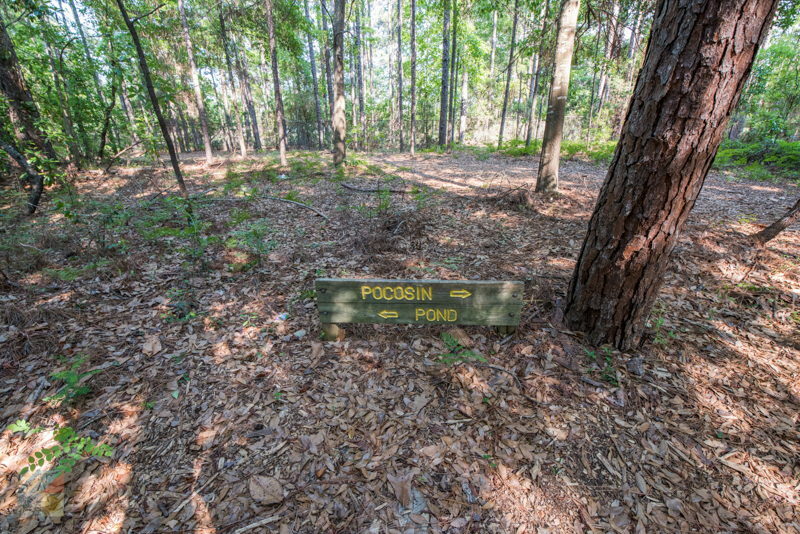 Visitors are asked to be respectful, take out what they bring in, and leave the preserve as pristine as they found it. Though not very large, and only requiring an hour or so to explore in its entirety, the Bluethenthal Wildflower Preserve is nevertheless a fantastic excursion for adventure seekers who love to take a trip off the beaten path. 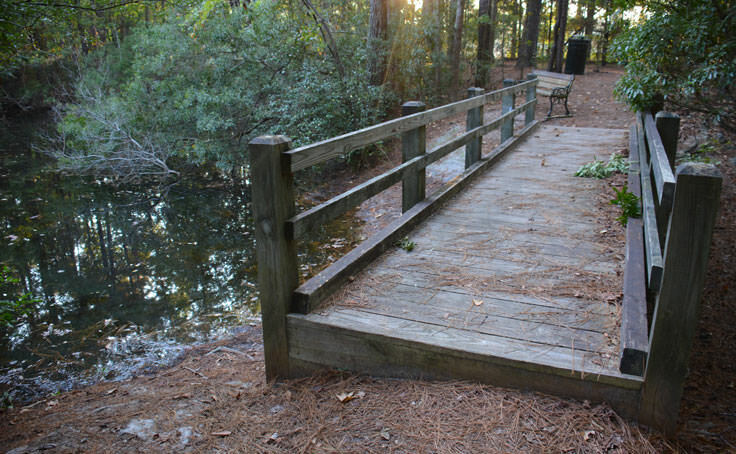 Open daily from sunrise to sunset, and free to the public, this natural Wilmington locale is a breath of fresh air for nature-loving visitors.